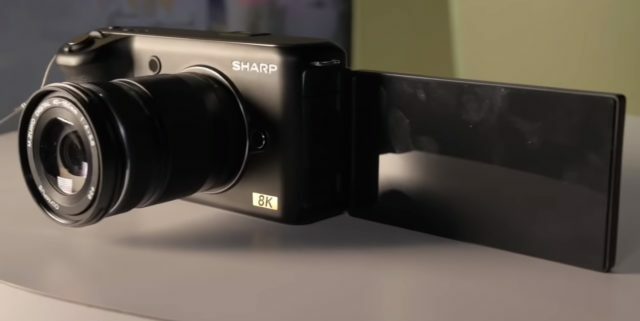 Day 2 of CES was highlighted with the news that Sharp has a prototype 8K pocket style cinema camera, at their booth here at CES, and that they are developing it for an official announcement at NAB in April. Canon also officially confirmed development of their next EOS R full frame mirrorless would be 8K, and Nikon aims the Z6 towards filmmakers. Designed around a micro four thirds image sensor, the Sharp 8K camera looks like Blackmagic’s 4K Pocket Cinema Camera, and may be based on a scaled down version of the 8C-B60-A Super 35mm camera that Sharp announced back in 2017. It promises to record 10-bit 8K video in 4:2:2 at up to 30 fps using the compressed H.265 codec. According to Kinotka, which got some hands on time with a dummy prototype, the Sharp 8K camera also has a massive 5″ pull out screen and will write to UHS-II SD cards. Kinotka also reports that Sharp is working to add 60fps by the time it hits the market. 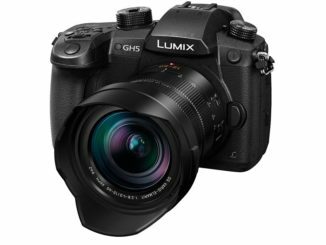 Many are already pointing out that a micro four-thirds 8K censor will have a serious crop factor, and that the rumored specs will have pixels that will be pretty small, on the order of 2,25 µm. With that small a size, it could end up being noisier than professionals are comfortable with. You can bet I’ll be swinging by the Sharp booth in April when NAB comes around to see what the announced model looks like. Regarding the EOS R series, we are considering multiple models including a pro-level model, although I cannot comment on the time frame at this point. Meanwhile, Imaging Resource sat down with Canon executives Yoshiyuki Mizoguchi, ICB Products Group, at Canon Japan, who said … “Video will play a huge role in the EOS R System for sure. For example, an 8K video capable camera is already in our EOS R-series roadmap.” Mizoguchi stopped short of saying when an 8K EOS R will be available, but we’re talking Canon here, and he also stated that EOS-R will be a dominant system for the next 30 years. Mizoguchi also said that while Canon is still committed to enhancing DSLR technological development, and so I’m guessing that Canon will field test 8K in a Canon 1D or similar platform before it comes to the EOS-R. Meanwhile, a pro level 4K EOS-R is coming. Canon loves to announce at the CP+ show in Japan, so if there’s an 8K camera coming, whether it’s a DSLR or mirrorless, it’ll likely show up there. Over at the Nikon booth, they have announced new firmware updates are in the works for the Nikon Z6 and Z7 full frame camera that will bring expanded support for Compact Flash Express, Raw Video, and eye autofocus. 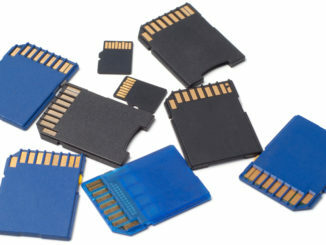 Compact Flash Express fits into the XQD card slot and many complained that the Z series wasn’t CFE compatible when launched. With XQD hanging on by a thread, Nikon has seen the handwriting on the wall and is moving towards CFE support. And that’s a very good thing. It means that the Z Series will be future proofed thanks to read/write speeds of 8GB/s that can be reached with CFE. Finally, Nikon’s Raw Video support will mean that users will be able to output to ProRes Raw to external video recorders like the Atomos Ninja 5. No details on when the firmware update will be available, but NAB is right over the horizon. So here’s hoping. 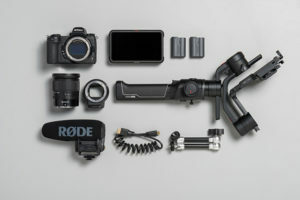 The Kit will sell for $3,999.95, about $1,000 cheaper than buying everything piecemeal. Meanwhile, Nvidia is showing off laptops capable of editing 6K Red Raw video, thanks to the GeForce RTX GPU. 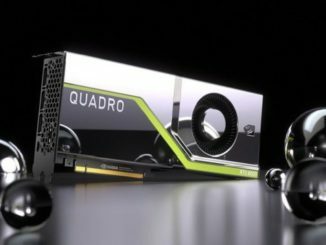 The Nvidia Max-Q laptops come out of Nvidia’s new partnership with RED and will leverage the Cuda-accelerated REDCODE SDK for cutting full resolution 6K video without proxies or pre-caching. 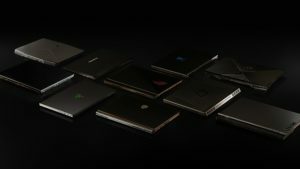 NVidia is showing off 17 models at CES, with plans for one 100 different configurations from 40 models. They will be available on January 29th. 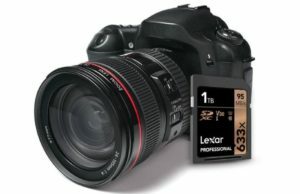 The 633x V30 SDXC card is designed for shooting 4K video with a read/write speed of 95MB/S and comes at a list price of $499, but B&H is offering it pre-order for $399. I’d get it before they realize the error.